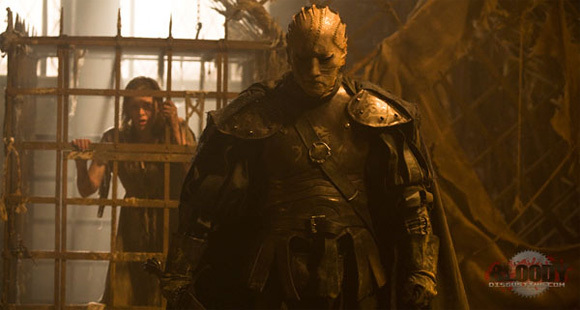 One of the few panels I regret missing during Comic-Con was for Michael Bassett's Solomon Kane, a movie based on the Robert E. Howard character of the same name. I heard some great things about the footage and have been anxious to see more from it. 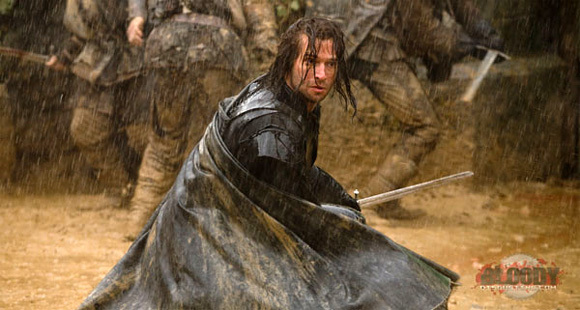 Bloody-Disgusting has debuted a few new photos from Solomon Kane today that feature James Purefoy as the 16th century Puritan warrior. 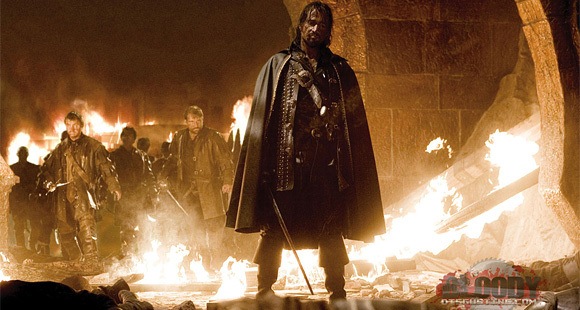 In addition to Purefoy, this also stars Jason Flemyng, Rachel Hurd-Wood, Pete Postlethwaite, and Max von Sydow. These may not be as great as footage, but they definitely look pretty awesome for still shots. Check ’em out below! A 16th century Puritan, Solomon Kane is a somber-looking man who wanders the world with no apparent goal other than to vanquish evil in all its forms. His adventures, published mostly in the pulp magazine Weird Tales, often take him from Europe to the jungles of Africa and back. This is being directed by Michael Bassett, who's directorial debut was Deathwatch in 2002 followed by Wilderness in 2006. I believe this was produced independently and doesn't even have a US distributor yet (though I could be mistaken about that). It certainly did come out of nowhere, but I'm excited to see more from it! Hopefully we'll see a trailer soon? So looking forward to this. James is pure talent !! screens do look awesome..........trailer please? I started liking the movie ever since the poster was put up. If they put as much effort into it as they did to the font of the poster, this movie will be awesome. I saw this panel at Comic-Con. It. was. a. mazing?! They showed so much footage. Dear, U.S. Distributors: Give me this movie--wide release!! I saw the panel at Comic Con and was mostly underwhelmed. Everyone involved is very passionate about it, but it looked to be a hop, skip and a jump from a made for TV flick. Deathwatch was interesting - although the FX was dated and the script was lacking, some of the scenes were incredible and frankly I couldn't turn away till the end. Hoping that Solomon Kane delivers. #2 ...no...go read some Robert E. Howard. Come back when you've been educated. hopefully this is better than the philantropist.. I cannot belive you missed this at CC. Mr. Purefoy is brilliant! I hope they make his character the seething rage-a-holic that he was in the book.